K. Praveen Parboteeah is the inaugural COBE Distinguished Professor and Director of the Doctorate of Business Administration at the University of Wisconsin-Whitewater, USA. John B. Cullen is Professor of Management and Huber Chair of Entrepreneurial Studies at Washington State University, USA. "Parboteeah & Cullen do a great job of covering traditional international business topics, like the environment, institutions, and culture. They also cover all of the operational and organizational materials, so it is a complete book. The focus on emerging markets is particularly timely and important." "In today's VUCA world , global firms are looking for employees who have a global view as well as special skills to manage unceratintiies accross world markets. This book strives to bridge the gap between domestic and global skill sets. 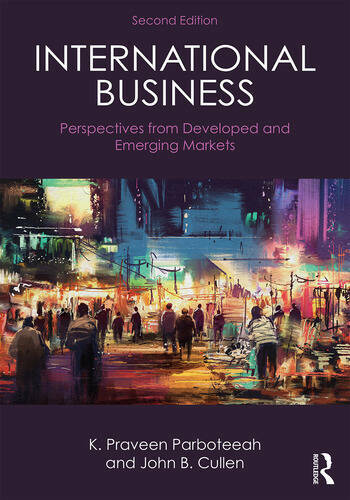 It is an excellent resource for students, faculty, and corporates who want to learn about international business from an analytical, logical framework and knowledge point of view."